Today: It's like the chicken salad you grew up eating—only it tastes great. A roast chicken makes its way into our dinner rotation nearly once a week. It’s simple to throw together, feeds the family, and one of those rare dinner items that isn’t met with groans of disgust from my three shall we say particular patrons (otherwise known as my children). Other added benefits to roast chicken dinner include flavorful bones to simmer into a broth, as well as leftovers for the next day. More: As long as you've held onto those bones, you don't need a recipe to make chicken stock. 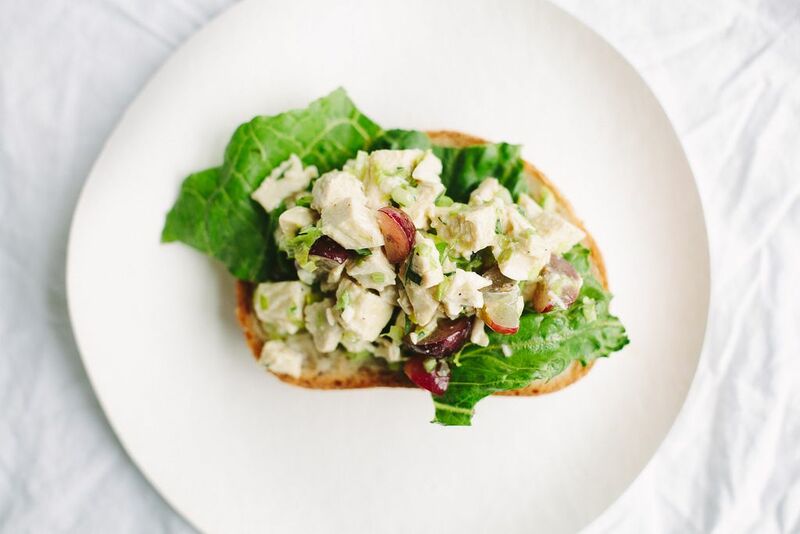 Chicken salad is one of my favorite ways to turn last night’s dinner into today’s lunch—the flavorful little bits of leftover meat are happily transformed into a simple salad. But usually chicken salad recipes are laden with mayonnaise. They are heavy and flavorless and thus get tucked away into the only-on-occasion recipes. I want more from my chicken salad. I want something a bit lighter with a fresh zippy bite. So my first update is to add something pickled. 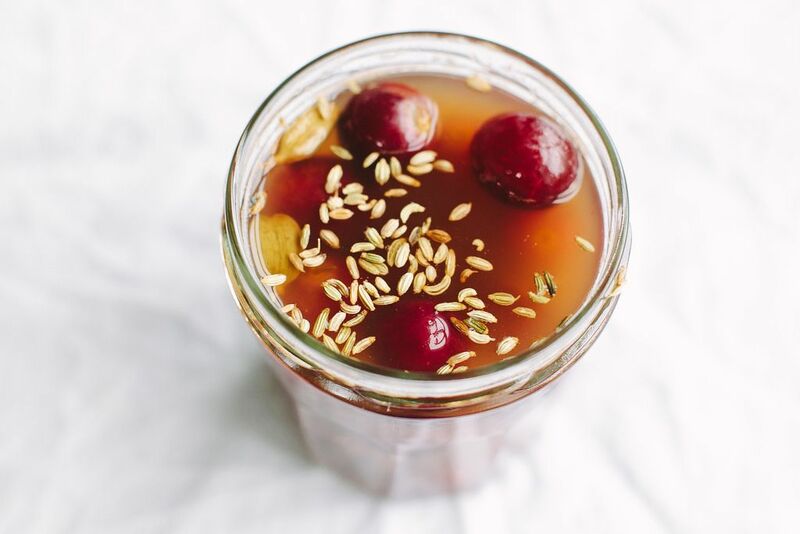 I love the pucker and zing vinegar adds to pretty much anything (if vinegar were a perfume, I would wear it)—including grapes. Fragrant with spice and pleasantly tart, these pickled grapes are the perfect subtle bite to this salad (and to cheese plates, other salads, snacks, and cocktail garnishes). More: Learn how to quick pickle and you'll be making better salads in no time. Next up, I toss out the mayonnaise. As much as I love the stuff, I reach for lighter, tangier crème fraîche, then combine it with a simple vinaigrette made from a bit of the pickled grape brine, Dijon, and olive oil. Everything gets tossed together with the frilly, sweet, and tender leaves of celery stalks and a bit of licorice-scented tarragon (though parsley, chives, or mint would also do nicely). 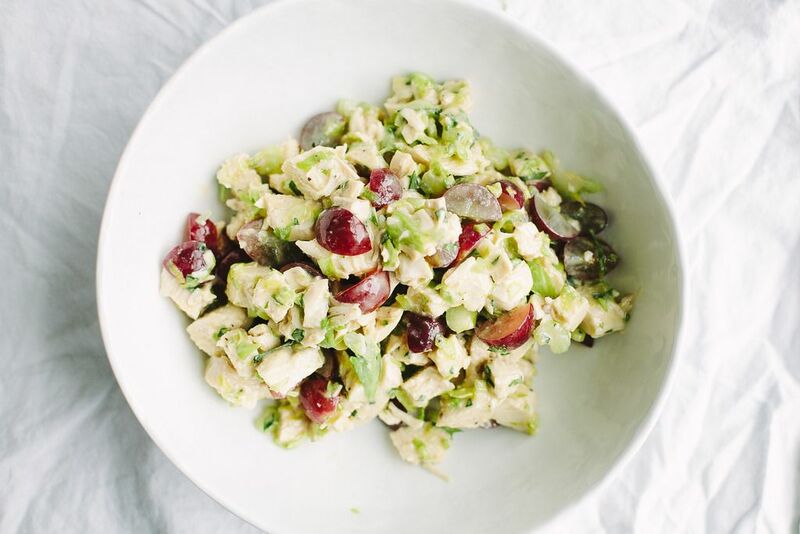 While this salad hints at the classic recipe we’re all accustomed to, it perks it up with a tangy dressing, a vinegar pop in the form of pickled grapes, and a softer crunch from celery leaves. And to think, it all started as a little leftover chicken. Love the twists in this! Thank goodness greenmarket celery is about to burst onto the scene. 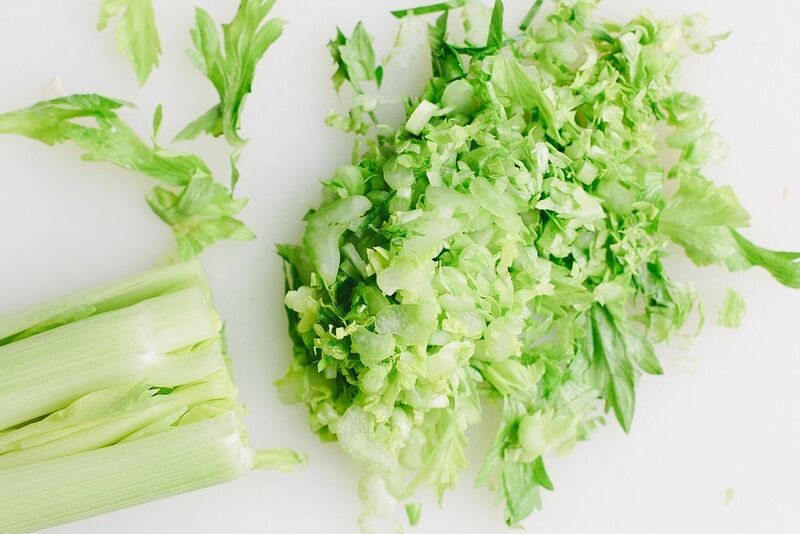 It's hard to find celery leaves on supermarket celery.